This inspirational Broadway inspired design is the perfect gift for fans. 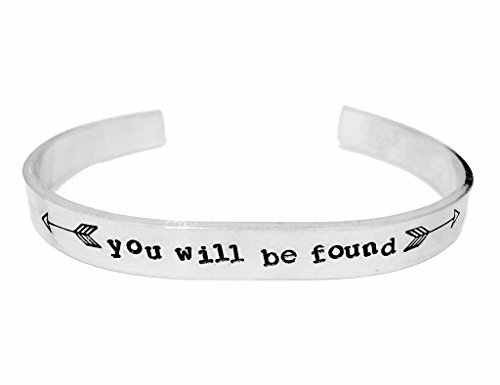 The aluminum cuff is hand stamped with the words "You Will Be Found", as well as two symbolic arrows stamped onto the bracelet. Each piece is hand-stamped and comes in a gift pouch. If you have any questions about this product by Theatre Nerds, contact us by completing and submitting the form below. If you are looking for a specif part number, please include it with your message. U7 Necklce Wear Alone or with Pendant Preminum Fashion Jewelry 18K Gold Plated Stainless Steel 5mm Figaro Chain 22"